The photo shows the fine detail of the “faddoglobin-complex-B” molecule under 1,000,000,000X magnification, as viewed with the high powered electron microscope at the Davis Besse medical center in Port Clinton, Ohio. These insidious faddy molecules take the form, almost unbelievably, of the very same small potato halves traditionally used in the production of fast food french fries. As investigators recently discovered, using the powerful tools available in the nuclear-medicine oriented facility, there are good reasons for a growing suspicion in the field – that these micro-molecular faddoglobin halves “recombine” in arteries, causing serious cardio-vascular health issues. 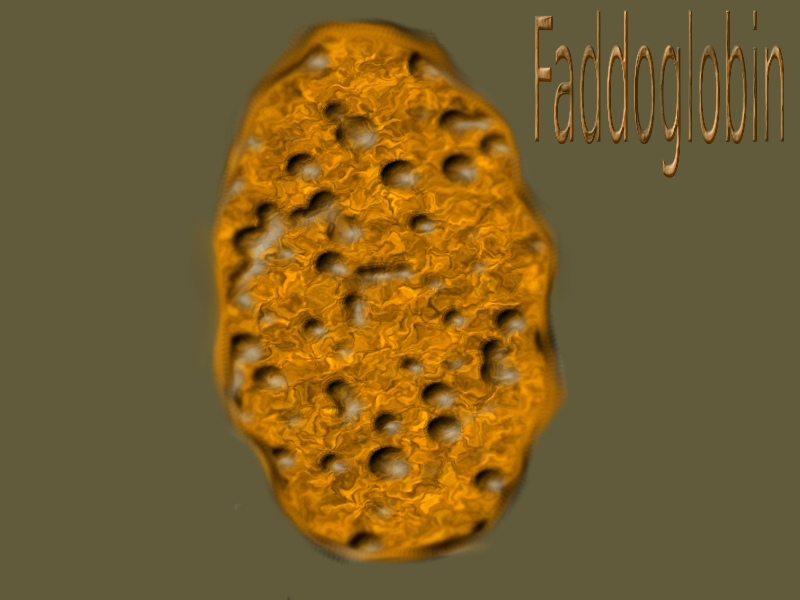 In light of these recent discoveries, the “faddoglobin-complex-B” molecule has been renamed to “recombinant-faddy-complex-C“. NOT REALLY! Of course the first two paragraphs of this page contain nothing but made-up gobbledygook. !! Of course !! But the book I held in my hand, as I sat snugly fitted into my favorite derriere constraining device, had no such gobbledygook within its pages. The book, by Andrew Well, M.D., was probably the best nutritional advice tome I’ve managed to read in a long while. Unlike many other such books, it didn’t insult the intelligence with overly-simplified child speak. It’s called “Eating Well for Optimal Health,” and has been in print for over a decade. Should one be a physician to review a physician’s book? Not necessarily. So long as a review does not tamper with the author’s science, it could indeed be useful because it may evaluate the ability of target audience members (who are not involved in the medical field) to understand layman-extended concepts. I’m certainly not part of the medical field, and neither are most of my fellow readers of the good doctor’s book. While it may be that additional research programs instituted since the time of publishing (2000) could bias or modify some things slightly, Dr. Well’s book seems to be grounded in common sense approaches to things, such that it’s still worth reading today. So many things were put into a proper perspective, such that it was easy to grasp the important points to remember about them. These often were things that in the past were tidbits of internalized advice, rotely memorized, and taken pretty much without question. In the book, delightfully, Dr Well seems to pre-answer questions. I loved the bit he put in the section on fish oil. He made it pretty simple, when he described the saturated oil that you might use for cooking (and how it solidifies after cooling to room temperature). He compared this to fish oil, which is liquid at room temperature. His assertion was that fish swimming in cool waters would be stiff as boards if the oils inside of them didn’t have particular, different properties, as opposed to other oils. This was an easy way for me to visualize one of the benefits of fish oil!